This property is 3 minutes walk from the beach. 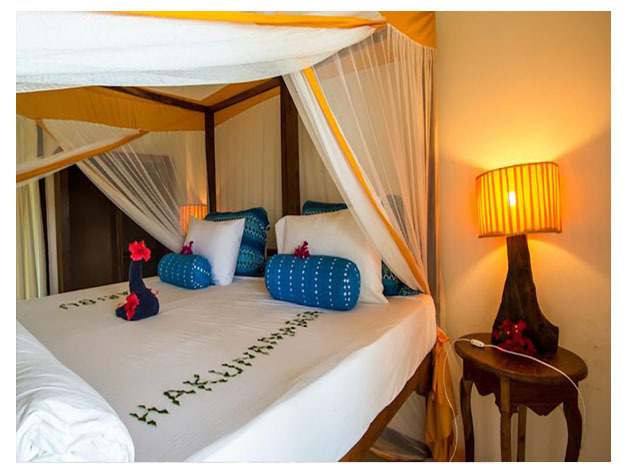 Located on the edge of a small rocky cliff with stunning views over the Indian Ocean out to Mnemba Island, The Zanzibari is set in lush and tropical gardens. Each room has a private balcony or terrace and all rooms overlook either the ocean or the gardens. Free WiFi is available in public areas. Situated by the pool, The Mvuvi Bar offers lunches, snacks and light evening meals. The formal Dhow restaurant serves 5-course dinners, combining international and local flavours. Each 5-course dinner offers a choice of meat, fish and seafood. Guests can relax at the spa, which offers a range of massages, beauty treatments, manicures and pedicures right by the Indian Ocean. 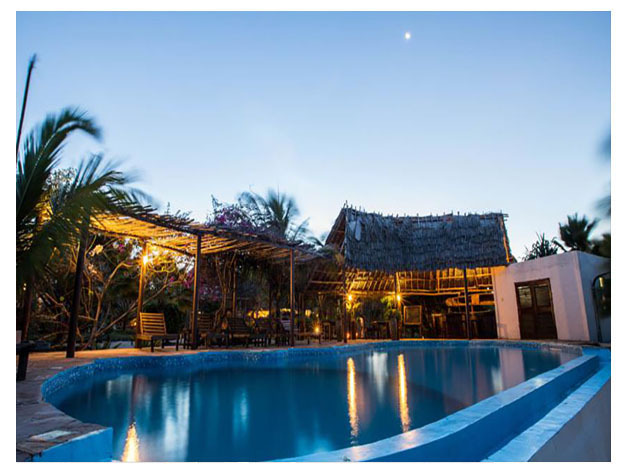 The Zanzibari is located 15 minutes’ walk from Nungwi fishing village and a 1.5 hour drive from Stone Town. Dar es Salaam can be reached within a 2-hour ferry trip or a 20-minute flight from Zanzibar Stone Town. This property is also rated for the best value in Nungwi! Guests are getting more for their money when compared to other properties in this city.